In our previous post, Change: Why Do We Find it So tough? 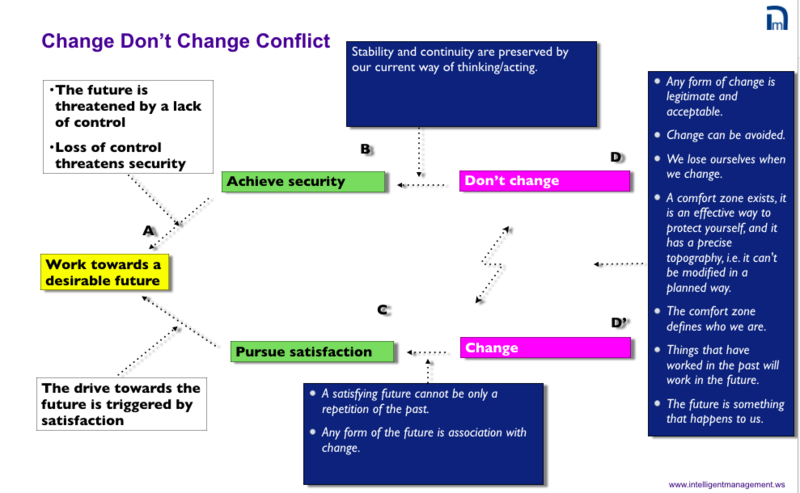 we looked at the fundamental conflict underlying change; that conflict emerges because of our need for control on the one hand, and our need for vision on the other. The need for control and the need for vision are common to individuals as well as organizations. Let’s take a look at this in terms of the very critical decision making process. The question is: how do control and vision translate in the decision making process? A decision point is where we are confronted with the possibility of change. We have to change direction from where we currently are. Whether we are cognizant of it or not, everyday we take myriads of decisions and these decisions foreshadow in our mind a “change”. However, we truly feel the need to take a “life-changing” decision only when the current state of our reality shows some or many elements of discomfort (what in the Theory of Constraints are referred to as UndesirableEffects). On the other hand, regardless of our current situation, our innate drive towards elevation and improvement will push us towards wanting to take life-changing decisions. In this process, the need for “control” takes the shape of “security” and this need leads to not making the change; “vision”, on the other hand, will be translated as “satisfaction” and will gear our decision towards making that change. 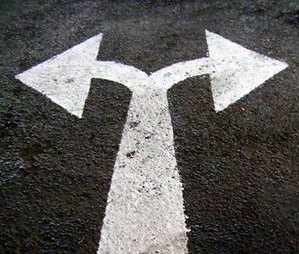 The decision process takes us then to a very precise and fundamental dilemma: Change vs. Do not change. This dilemma is originated by the two core needs of “control” and “vision” that in the decision process we can verbalize as “security” and “satisfaction”. We can summarize this conflict in a diagram called the Conflict Cloud diagram. It is one of the Thinking Process Tools from the Theory of Constraints – see below. The box A contains the goal, B is a need that must be satisfied, and D is the conflicting position we assume in order to protect the need. C is the other need in this conflict, and D’ is the conflicting position we adopt to protect the need C. The blue boxes contain the assumptions or mental models that are the reasons why we have these needs and positions. The assumptions between D and D’ are the reasons for the two positions to be in conflict. If we can challenge these assumptions, we can find a way forward to a breakthrough solution. 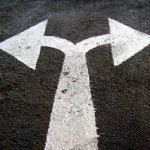 Bearing in mind this archetypal conflict regarding change, we can use it as a reference point every time we need to make an important decision. Given the the decision point, what form do the needs for control and vision take and what is the common goal that satisfies both those needs? What are the assumptions we are making that keep us stuck? Retracing this thought process through the template of the archetypal change cloud is a powerful way to ensure that our decision making is fully lucid and in the right direction. Sign up to our blog here and shift your thinking towards broader, systemic possibilities for yourself and your organization. Angela Montgomery Ph.D. is Partner and Co-founder of Intelligent Management, founded by Dr. Domenico Lepore. She is co-author with Dr. Domenico Lepore and Dr. Giovanni Siepe of ‘Quality, Involvement, Flow: The Systemic Organization’ from CRC Press, New York. Angela’s new business novel+ website The Human Constraint looks at how the Deming approach and the Theory of Constraints can create the organization for our complex times, based on collaboration, network and social innovation.